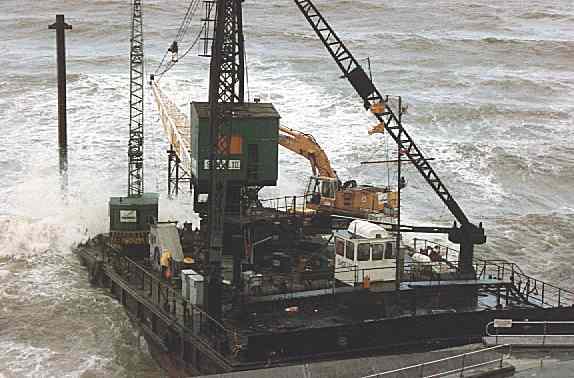 Isle of Wight photographs: Ventnor Pier resisting demolition! 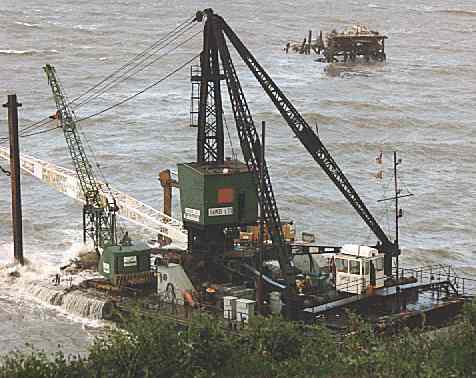 Another minor storm caused the demolition rig to break from its moorings. 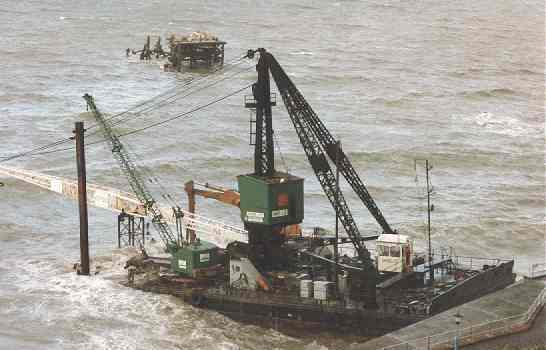 Rescue helicopters were called to remove non-essential personnel from the rig. 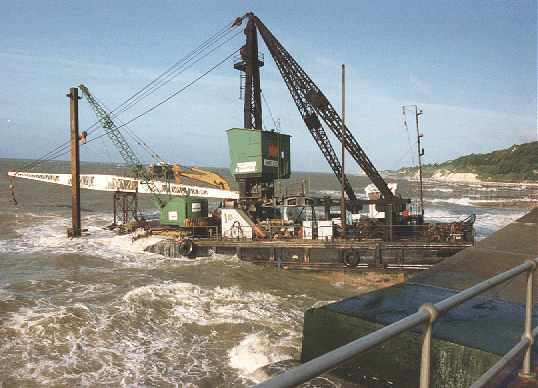 The remains of the pier's pilings can be seen in the background. 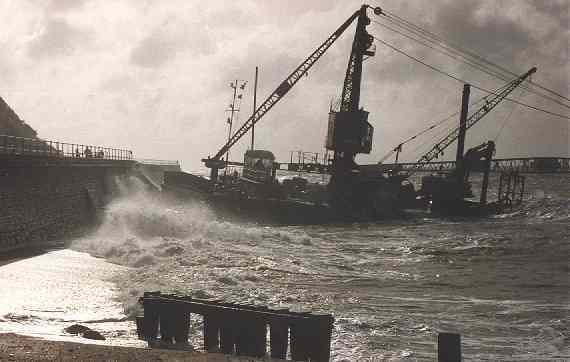 This was the last of the pier. 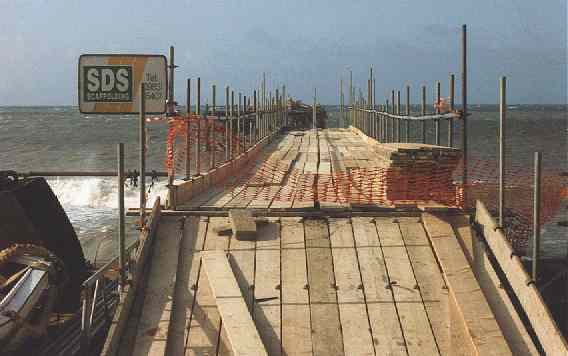 This is now the site of a large 'hole in the sea'! 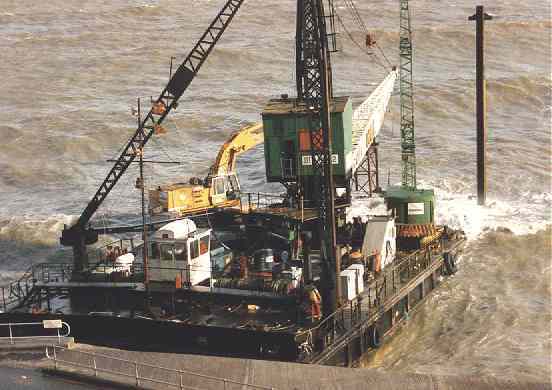 The local water company are working to improve seawater quality by managing discharges into the sea. A dam has been built and a large excavation can be seen from the cliff. The scene looks odd with a deep dry hole only a few metres from the waves. When the workings are complete, the town have been promised a bandstand on this site. 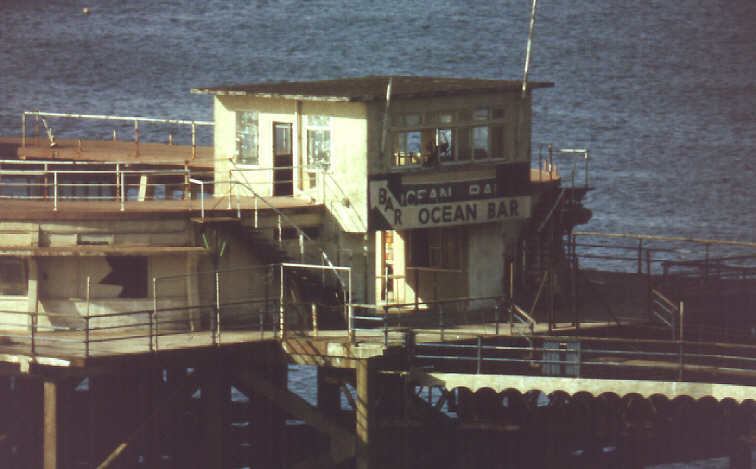 The Ocean bar at the end of the pier as it once stood. The actual bar and café were slightly off this picture to the left. 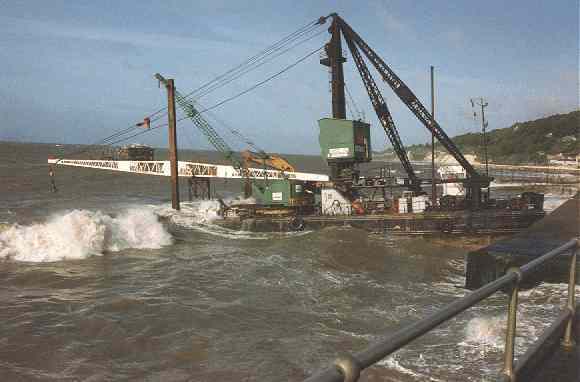 Sadly the pier eventually lost the battle. Perhaps one day another will be built.